OpenClose has scheduled a May release for the official rollout of its much anticipated digital mortgage point-of-sale (POS) solution, ConsumerAssist Digital POS. 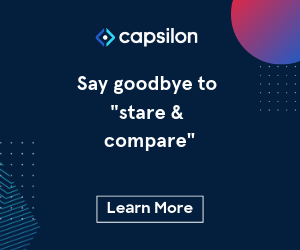 This new integrated solution is a unique offering that combines a proven and mature 100 percent browser-based end-to-end LOS and PPE with new state-of-the-art dynamic digital mortgage POS technology. OpenClose is incorporating into ConsumerAssist Digital POS their DecisionAssist product and pricing engine, automated underwriting capability, fee calculation engine and more. OpenClose also offers ConsumerAssist Web which helps establish a consumer direct lending channel by developing websites that engage borrowers with tools to perform much of the application and loan qualification process themselves without involving a salesperson. ConsumerAssist Web can be combined with ConsumerAssist Digital POS, together dubbed ConsumerAssist™ Enterprise, to offer comprehensive self-service technology that manages the bulk of the origination process for lenders. OpenClose has completed an integration with Continuity Programs, Inc.’s cloud-based MyCRMDashboard.com customer relationship management (CRM) software. This new interface provides OpenClose’s LenderAssist LOS customers the ability to seamlessly interact with Continuity Programs’ platform. OpenClose’s LenderAssist LOS is an enterprise-class platform that offers a suite of modules to automate complex areas of the entire mortgage manufacturing process. The company recently added a comprehensive digital POS solution, closing the loop between POS and LOS and creating the mortgage industry’s only consolidated digital POS and LOS platform delivered by a single vendor that is truly browser-based and has multi-channel automation capability. 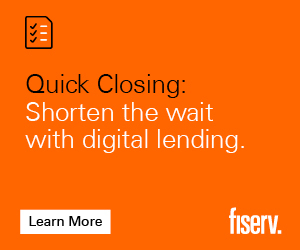 The complete solution is helping OpenClose customers slash the cost to manufacture loans. Continuity Programs leveraged OpenClose’s RESTful API to rapidly develop and deploy the integration between MyCRMDashboard.com and LenderAssist. TheRESTful API suite offers simplicity, reliability, better communication, seamless data exchange and performance optimization. Lender implementations of MyCRMDashboard.com are quick and non-disruptive, with Continuity Programs doing the heavy lifting for customers and providing all training. Both OpenClose and Continuity Programs offer completely web-based software-as-a-service (SaaS) solutions that are mobile-ready, providing users with fingertip access while in the field or office. OpenClose has integrated with Timios, Inc., a national provider of title and settlement services to banks, financial institutions and mortgage lenders. The integration allows users to efficiently draw all title and settlement fees directly from within OpenClose’s LenderAssist LOS, eliminating data entry, saving time and ensuring fees are fully accurate and TRID compliant. Timios leads the title and settlement industry in pricing accuracy, successfully bringing the first RESPA compliant, free, instant guaranteed GFE calculator to market, and again delivering TRID compliance guaranteed pricing ahead of the industry. The company guarantees that all title settlement fees with Timios are disclosed accurately in the Loan Estimate (LE) for TRID compliance from the day of origination through the transmittal of the final disclosure to the consumer. OpenClose users can now leverage Timios’ proprietary pricing engine, instantly and seamlessly populating all relevant information within its LOS. Timios, Inc. is a California-based corporation and the country’s fastest growing title and settlement services company. Since its founding in 2008, Timios has serviced more than $30 billion in escrow closings and expanded into new markets throughout the country. In addition to fee calculations, Timios also offers a wide variety of title insurance products, escrow and settlement services, realtor and REO purchase, appraisal and valuation products and services. OpenClose offers a 100 percent browser-based LOS platforms that has multi-channel automation capability. The company’s LenderAssist LOS and other solutions were all engineered from the ground up using the same code base, and it has been owned and operated by the same principles since the company was founded in 1999. Unlike many LOS vendors, LenderAssist’s comprehensive end-to-end functionality was not created by way of multiple acquisitions, which typically rope together disparate technologies that can be prone to issues; or, via integrations with many third party vendors that are done in order to make up for system deficiencies. Key aspects of OpenClose’s value proposition include: quick implementations; custom-configurable with easy set up; seamless workflow-driven automation with no manual intervention; fully web-based with no installs whatsoever; fully SaaS and Cloud-based technology; proven scalability; single code; hands-on implementations and system training; and second to none, boutique-style customer support. OpenClose, a multi-channel loan origination system (LOS) provider, and QuestSoft, a provider of automated mortgage compliance software, announced that they will host a joint webinar covering the new CFPB HMDA regulations, how they will impact organizations, and outline specific plans to make compliance with the new HMDA rules the most efficient and time-saving process in the mortgage industry. The webinar will be held on June 21, 2017 from 1:00 p.m. – 2:15 p.m. EDT. Entitled “The New CFPB HMDA Rules, What You Need to Know,” this webinar will provide insight on not just what the new rules are, but what organizations will need to prepare for well in advance of the January 2018 implementation deadline. The companies say that while the deadline may seem a long way off, there are business-critical functions that should considered now or run the risk of being caught off-guard. The inside day to day nuances behind the new regulations. Above and beyond: practical, actionable information will be provided to attendees, not a legal review as is typical with most HMDA webinars. New loan types required with HMDA and how OpenClose and QuestSoft are answering the call. Recommendations for improving data integrity across the enterprise. A timeline of the changes and companies need to prepare for in advance. OpenClose and QuestSoft will also touch on key updates being made their specific products that will help companies effectively test, train and prepare for, including release dates and 2018 CFPB HMDA data that can already be tested now. Kathy leads customer support and training at OpenClose for its multi-channel LOS, LenderAssist, as well as its integrated products. She joined OpenClose in 2010 and has over thirty years of experience in the mortgage banking and technology fields. 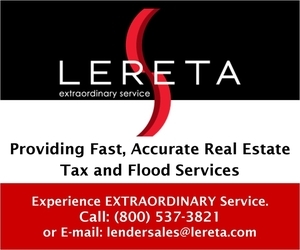 Leonard has been associated with the mortgage industry for over 30 years, and is the founder of QuestSoft. He is a member of both MBA HMDA and NMLS Mortgage Call Report working groups, and is nationally recognized as a HMDA expert. The webinar is offered as complimentary to the mortgage industry but availability is limited. To sign up for the webinar, go to https://goo.gl/E8cTzP. OpenClose an enterprise-class, multi-channel loan origination system (LOS) provider, and Mortgage Capital Trading, Inc. (MCT), a mortgage hedge advisory and secondary marketing technology firm, have developed an integration that eliminates manual intervention and streamlines the delivery of loan data to maximize hedging for lenders. The integration works by automatically taking loan-level details that are originated and locked in OpenClose’s LenderAssist™ LOS and then securely passing them directly to MCT to hedge. The entire process of obtaining critical data becomes very easy, with updates occurring every 15 minutes. This removes several steps in the data acquisition process, saving time, reducing errors and providing faster reporting. The longer lenders are exposed to interest rate movements the more prone they are to have locked loans without hedge positions. As a result of the integration, MCT is able to hedge more frequently as opposed to having the lender manually send pipeline reports to them. The automatic updates are performed every 15 minutes which provides a tangible reduction in risk by shortening the time period between rate locks and hedge positions. As it relates to lenders, there isn’t anything that they have to do to enable the new integration. MCT performs the heavy lifting and all parties benefit from the resulting efficiencies gained. OpenClose and MCT worked closely together from a technology perspective to streamline the process. The enhancements to ConsumerAssist creates a highly attractive, straightforward and interactive experience for consumers. ConsumerAssist can be accessed via the web or any mobile device, providing portability and accessibility at any time and from anywhere. This results in an increase in leads and a decrease in production costs. As a borrower completes an application from any device, alerts are triggered in real-time that are sent to the lender for quick follow up by a loan officer or customer service representative. Lenders can then immediately engage the borrower, quickly answer questions and start the sales process. This significantly improves lead capture and conversion rates, resulting in more closed loans and greater profits. The features of ConsumerAssist can be customized to a lender’s unique specifications along with branding for both branch and loan officer web pages, as well as mobile applications to create a more personalized experience. Lenders also have the flexibility to offer on-demand program eligibility and pricing for borrowers by leveraging OpenClose’s DecisionAssist product and pricing engine (PPE), which instantly returns decisioning at the point-of-sale. OpenClose’s team of mortgage specialists maintain an extensive library of up-to-date investor programs, guidelines and pricing for its customers. 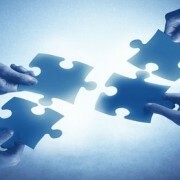 ConsumerAssist can easily be added to a lender’s existing website and is integrated with OpenClose’s LOS, LenderAssist™. It also has the capability to integrate with customer relationship management (CRM) software and other third party applications. The set up timeframe for ConsumerAssist can be customized and implemented in as little as 30 days. Q: How has the industry changed since you started in mortgage lending? JAMES P. KELLY: When I first started out in the mortgage industry back in 1994, I was a lender so I had an origination background and a strong understanding of that side of the business. From a technology perspective, it was archaic compared to today. It took over 24 hours just to get a credit report and most mortgage software applications required an install. Nothing was as streamlined and transparent as it is today. OpenClose was founded in 1999 and we’ve always had a through and through browser-based system. 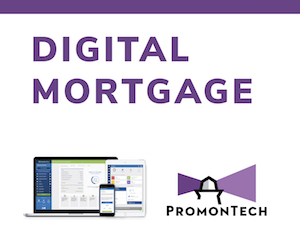 Now, the dot-com era helped drive the use of web-based technology, but it wasn’t widely adopted in the mortgage industry. That’s starting to change but there is still more work to be done, as there are still a lot of systems that require an install, which equates to being web-enabled/web-accessible. Q: What should lenders look for when switching to new loan origination software? JAMES P. KELLY: There are several things. It absolutely needs to be browser and SaaS-based. And make sure it’s multi-channel so you can easily add and grow wholesale, retail, correspondent, or consumer channels. Vet the vendor well. Ask the vendor about who does the configuration. The onus should be on the vendor, not the lender. 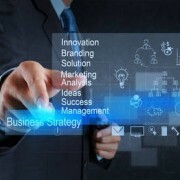 In addition, make sure there is extensive training and good technical support. It is also important to look for a vendor that has staff with significant experience in the mortgage industry. It’s much more effective being trained by someone who has been in their shoes and understands the challenges of the mortgage process. 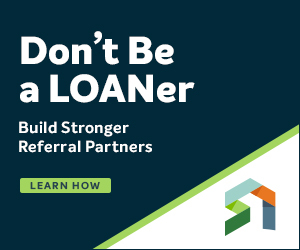 All too often, lenders buy a platform and have issues later with adding channels, having to maintain the system themselves, being challenged with getting enough training on the system, and getting adequate post implementation customer support. Q: In your opinion, what makes an LOS stand out as being truly innovative? JAMES P. KELLY: A vendor that is innovative is one that truly listens to its customers. The customer often comes with up with some of the best feedback on issues they face today, which results in the creation of ideas to enhance systems and develop new products. The vendor needs to act on those ideas. Further, having a clear product roadmap and paying close attention to marketplace trending is key. Lastly, hire the right people. Make sure they are forward thinking and have mortgage technology experience. It makes a difference. Q: What do lenders have to focus on if they want to deliver innovation to potential borrowers? JAMES P. KELLY: They need to focus on ways to improve communication to the borrower. This can be a very scary time for the borrower so providing the tools that keep them in the loop and set the proper expectation is key to achieving the ultimate goal of a happy borrower. You have to take enhancing the consumer experience very seriously. They want ease of doing business and they want to handle more of the process themselves. Moving technology to the point of sale for borrowers is becoming very important to allowing the borrower to have a place to submit and receive communication about their loan. And with the CFPB now encouraging lenders to implement an eClosing process, I think we’ll see greater adoption sooner than later. Mobile devices are also important. OpenClose is releasing an updated mobile app for LOs and also a consumer app that makes obtaining a loan much simpler for the borrower. Consumers, especially millennials, want to do things increasingly on their smart phones. In short, make lending as easy as possible by offering consumers the tools they need and expect. Q: Define the next generation LOS? JAMES P. KELLY: The next LOS should enable loans to flow effortlessly through the LOS workflow — for all business channels using a single LOS vendor. 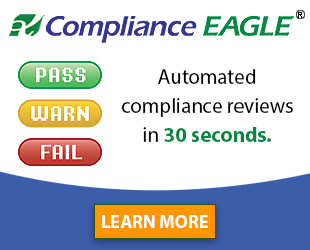 This lowers costs, decreases margin for error, facilitates faster loan processing, and ensures compliance adherence. The less manual intervention the better. It should be a completely workflow-driven process. 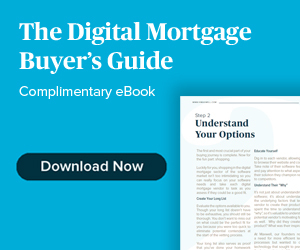 Notable is that the industry is moving closer to achieving a true end-to-end, fully paperless eMortgage process that is getting closer to becoming a reality, and the industry will need the right LOSs that help enable it. Q: In addition to your LOS, you offer a correspondent/conduit solution. How is it doing? Q: Can you share with us why it’s important for lenders to use a multi-channel LOS platform? JAMES P. KELLY: Put simply, if you want to add a business channel or remove one, you shouldn’t have to add another LOS or scrap one if you exit a channel. Some lenders, especially larger ones, buy different LOS platforms to run different business channels. 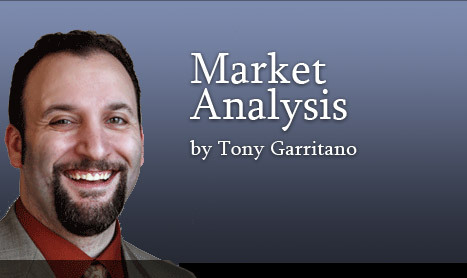 This is because most LOSs on the market purport to be truly multi-channel but they are not. The lender finds that out later. Disparate LOSs don’t talk to one another very well, if at all. The channels become siloed and as a result and there is a myriad of issues associated with that, not to mention a significantly higher cost to originate loans. Buyer beware. Make sure the LOS is truly multi-channel. Q: What are some of the biggest challenges with LOS implementations? JAMES P. KELLY: The effort the lender must put into the implementation is of paramount importance. It is key for the lender to put one person in charge of the implementation so there is ownership and accountability on getting the vendor the information and they need. Additional issues can arise when too much burden is placed on the lender, with the vendor not assisting with the heavy lifting. 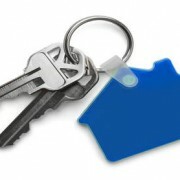 That can become a huge issue, especially for lenders that don’t have the internal resources to do it. And sometimes the LOS isn’t as configurable as the lender thinks it is and certain functions must be custom-coded, which extends implementation time frames and raises costs. Additionally, user acceptance testing (UAT) is key along with getting users properly trained on the system. If you don’t know how to use it, employees in different functional areas will complain and that’s part of why lenders seek a new LOS. They just didn’t know the feature set they needed existed. And that’s really the vendor’s fault. 1.) There is no doubt that compliance adherence will remain near the top of every lending organization’s list. 2.) A decrease in lender profits will result in M&A activity picking up and a more consolidated market. 3.) As Rates start to increase, we will start to see a significant rise in non-QM loan volume. James P. Kelly is President of OpenClose. He has the responsibility for the overall direction, coordination and administration of all financial strategies, policies and controls for OpenClose and its divisions. He manages, motivates and develops a dynamic sales force to meet profit goals, while keeping the executive staff apprised of financial trends, based on timely and accurate financial and operating information, allowing the executive team to act promptly and intelligently in response to competitive market opportunities. 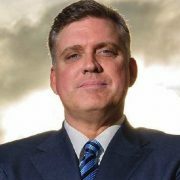 He brings extensive experience as a mortgage banker as well, acting as President and Co-founder of Magellan Mortgage Group, a full-service mortgage bank with offices in Florida, Kentucky, Tennessee, Ohio and Indiana. OpenClose, an enterprise-class, multi-channel loan origination system (LOS) provider, announced that it has added a rate sheet generator to its product and pricing engine (PPE), DecisionAssist. The new functionality quickly and efficiently automates rate sheet creation for timely distribution to branches and originators. Colony American Finance (CAF), a specialty finance company that provides innovative loan products to residential real estate investors, implemented the OpenClose loan origination platform from OpenClose to support its new Single Asset loan product across correspondent, wholesale and retail channels. Colony American Finance is focused on first launching OpenClose’s standalone correspondent module, OC Correspondent, for its turnkey capabilities. Implemented in under 45 days, this web-based standalone solution enables Colony American Finance to fully automate its new conduit business. OpenClose’s OC Correspondent module incorporates a seller-facing web portal that allows correspondents to electronically deliver loans to Colony American Finance for purchase, access instant eligibility and pricing, automated lock desk functions, real-time pipeline status, and comprehensive cure condition and purchase advice workflow. OpenClose customized and streamlined Colony American Finance’s entire whole loan purchase workflow, including the automation of quality control, compliance, analytics, reporting, document management and imaging, and more. OpenClose’s correspondent module functions as a stand-alone solution and also integrates with its end-to-end LOS, LenderAssist. The intuitive design of the solution significantly elevates the seller experience, helping Colony American Finance secure repeat business, effectively manage risk and maximize profits. On the back-end, the comprehensive correspondent functionality supports the whole loan purchase workflow that users rely on.